I tend to hoard my favourite pieces in my wardrobe and save them for special occasions but it turns out I don't have very many special occasions to attend. It also turns out that by the time a special occasion does come around I want to buy a new favourite piece so I have this collection of amazing jewelry and gorgeous dresses that I never wear. In the spirit of wearing my clothes and jewelry more often (read: budgeting) I decided that my Pegasus necklace couldn't just sit on my dresser so I took it out to play. I may have been a little overdressed for my lunch date but that's nothing new! Now, onto the fun part! 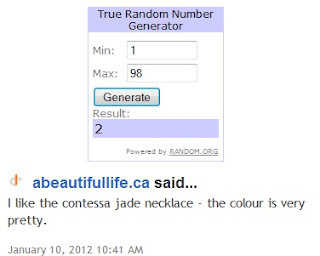 Announcing the Stella & Dot giveaway winner! *drum roll* Congratulations to Liv of abeautifullife.ca! I will be emailing you soon with details! absolutely love this dress on you! it works so well with the necklace & your darker hair :) happy monday, melissa! Haha I'm the same,I have too many special occasion pieces sitting in my closet but no event to wear them too. I have to be like you and start wearing them out during the day! Love the dress btw, the color is beautiful! Love this outfit! That color looks amazing on you! And that necklace is to-die-for!!! lol. I do the same - saving my best pieces for a time that'll never come. Glad you decided to wear this gorgeous dress. Looks pretty on. I know what you mean about saving pieces for a "special occasion" that more often than not never comes. Wearing them for everyday is a great idea... after all, better to be over dressed than under dressed, in my opinion! A very, very lucky gentleman who must have gotten to sit across from you in this dress. You look stunning. You look so pretty Melissa! Love the color on you. Love that dress! the colour is amazing. I'm also jealous Vancouver has NO snow! Different story in Alberta! I'm jealous how you can pull of maxi dresses so well! I still scared to try lol. You look amazing in this dress my dear! And I am so jealous of that necklace! Amazing piece! That's a lovely combination Melissa! i love the dress and pairing it with the blazer looks like a great idea to me! the stella & dot necklace is truly beautiful. I love that necklace! Is it heavy? This dress is gorgeous!!!!! Love the idea of wearing a maxi in the Winter... all mine are a little too summery though yours is just perfect.